Your new book will publish in 2018. You’re excited that your dream is becoming a reality. Now is the time to spread the word about your upcoming release. 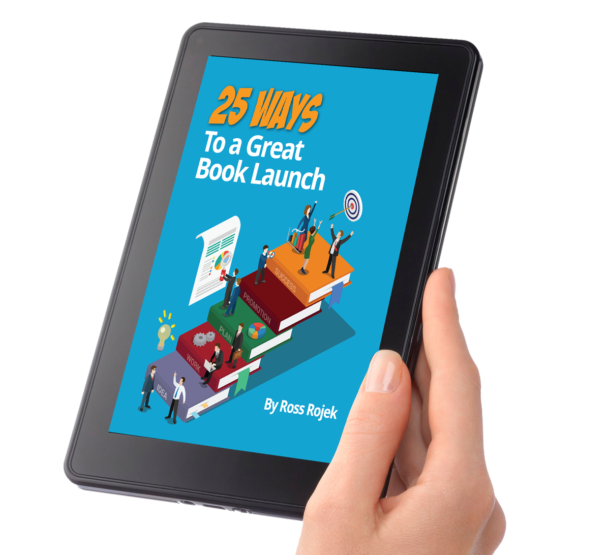 While you’re surrounded by supportive friends and family who are already telling everyone they know about your book, you’ll need a much bigger boost to get your book in front of the eyes of consumers, booksellers, and librarians. It’s time to think about hiring a book publicity agency. There are many benefits that come with hiring a book publicist. More exposure to readers, more reviews, interview opportunities, and definitely a further reach should all be yours for the taking. However, any successful publicity campaign is not without its stress, anxiety, and dramatic throwing up of the hands. The success of your book publicity campaign relies heavily on a symbiotic relationship between you, your book, and your publicist. You can control a lot of what happens in your campaign by following a fairly simple set of do’s and don’ts for working with a book publicity agency. *Disclaimer: These do’s and don’ts appear small and easy on paper. Keep in mind that all rules can be bent and, at times, broken. The greatest factor involved in a successful publicity campaign has far and away always boiled down to one key ingredient: communication. Just like in any relationship, the more you talk the better things function. DO: Be open and honest about your publicity experience. If you don’t understand something, ask. If you have concerns, share them. Talk with your publicist about setting realistic media coverage goals based on your book’s market and readership. Ask your publicist to explain their publicity plan in detail and talk through the aspects that might be new to you. Often, when a client is upset, it’s because they are misunderstanding something about their campaign. DON’T: Assume anything. If you find yourself thinking, “Oh I’m sure they know to submit my book to that award,” send an email just to double check. If your goal is to get more book reviews in key outlets, discuss this early on in your campaign and make it a key part of your publicity plan. As a new author you don’t feel just “meh” about your book. It’s your book baby, after all! Writing is deeply personal work, and every author comes to the table with embedded emotions about their book. DO: Make the nuances of your book clear to your publicist. No reader will ever know your book like you know your book, so be clear on the details and forthcoming about the elements you’re passionate about. While your publicist will read your book, he or she needs to know your thoughts on the book’s purpose and vision. Plan to discuss this early on in your campaign. DON’T: Expect everyone to love your book like you love your book. An author’s personal passion for their book can’t be transferred. Your publicist will pitch your book aggressively, but it will never be their baby. Work with your publicist to convey your passion into your campaign’s messaging for the best possible outcome in relating to the media on your behalf. Patience is perhaps one of the most difficult virtues for anyone to possess, but it’s crucial in publicity. Your publicist knows how anxious you are, know how hard it is to wait, and he or she will do everything they can to expedite things, but PR is not typically quick. DO: Inquire about timelines. Experienced publicists should be able to articulate an average timeline for your campaign. They should be able to explain to you when they are pitching, estimations on run times for coverage and deadlines that you need to know. Because public relations is all about people, few things are ever set in stone. So while your publicist may have been told by an editor that a feature including your book will run January 4th, that doesn’t mean an editor can’t make a change (without informing your publicist). Try as much as you can to be patient with the very human element of PR. DON’T: Expect immediate results. Despite any forewarning that comes from your publicist, many authors expect a grand parade of media coverage on their publication date. It’s a big exciting day for you. It’s a day your campaign has been building toward. It’s a day your publicist is trying to make impactful. But, sometimes media coverage doesn’t work on the timeline we all hope for. Some authors have great campaigns that don’t fully take off until several weeks or months after their book’s release. Other authors find that the pre-release stage drummed up far more attention than the post-publication date time. Every book is different. If your campaign hasn’t taken off just yet, there may still be some waiting to do. One of the worst things an author can do is be “too busy” to participate in their book’s PR campaign. Some think that when they hire a publicist, their job in the book’s promotion is done. A publicist isn’t like a plumber. You can’t just point to the leak and leave them to do their work. Publicity is a cooperative partnership effort that actively includes you. DO: Reserve available time for public relations. Whether it’s interview time with a reporter or writing content your publicist can pitch out, there will be work on your part. Yes, your publicist will be the one putting in the long, hard hours, but an author’s willingness to participate can make or break a campaign. Many publicists can share stories of great opportunities for coverage lost because authors would not make themselves available. DON’T: Expect a campaign based solely on reviews. Time and time again, authors approach PR expecting to have a campaign based completely on getting book reviews. They won’t write content articles or make themselves available for interview Q&A’s because all they want is reviews. That’s all well and good, and publicists of course are seeking to make that happen. However, book reviews are just a fraction of your campaign and, frankly, the most difficult pieces of coverage to acquire. Think about it, in order to get your book reviewed, not only do you have to stand out to a reviews editor among thousands of other books, they then have to dedicate the time to read your book and write a review (a process than can take as many as 6 months!). That is no small request. Do yourself, your publicist, and your campaign a favor and embrace the idea that you will need to be actively involved in PR. Odds are, your publicist may have some do’s and don’ts in mind for your campaign, so ask about them. The better you understand the ins and outs of your campaign’s PR efforts, the more effective and enjoyable it will be. CHRISTELLE LUJAN and LIANE WORTHINGTON are part of the BookSparks PR team. They have been working with authors on individually tailored PR campaigns to increase awareness for new books. Learn more about the BookSparks team at www.gobooksparks.com .